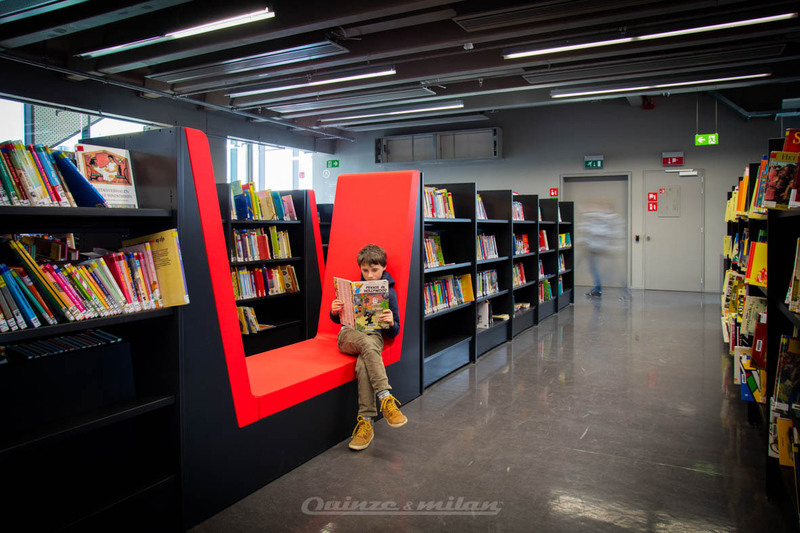 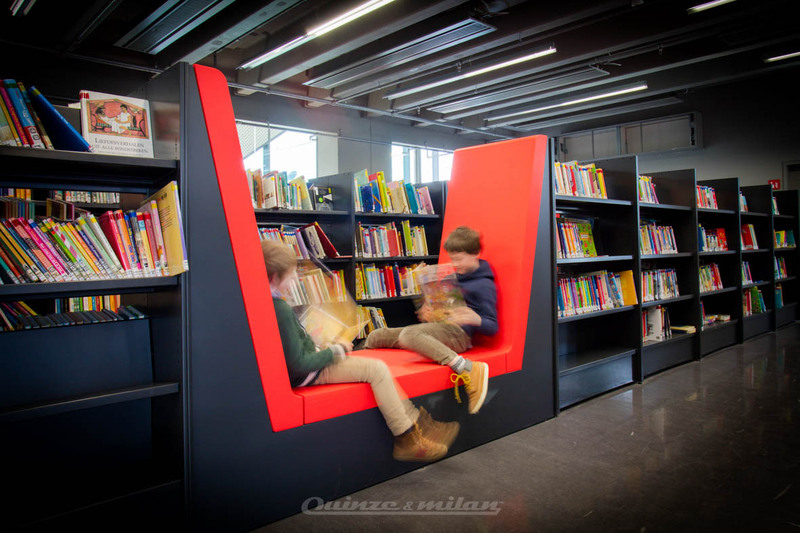 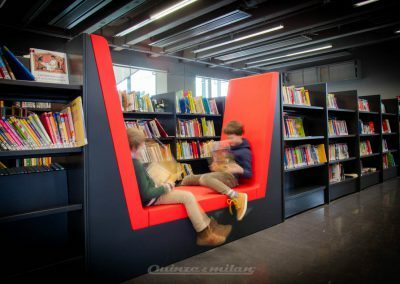 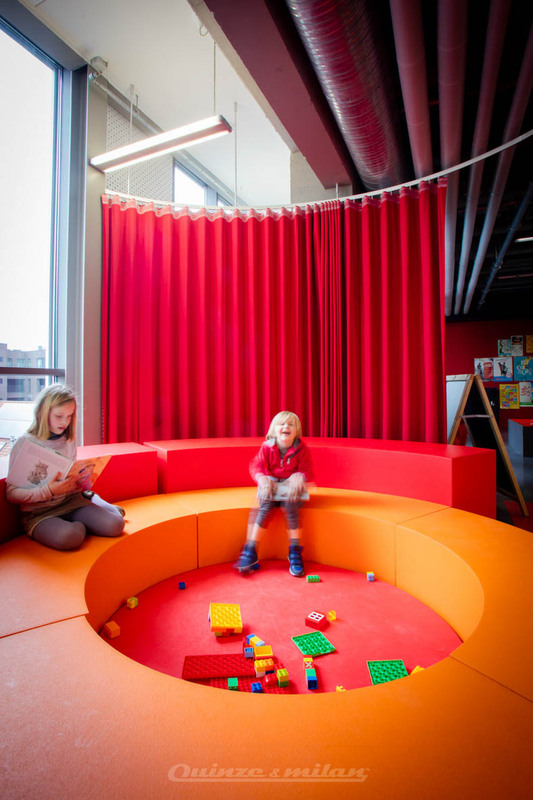 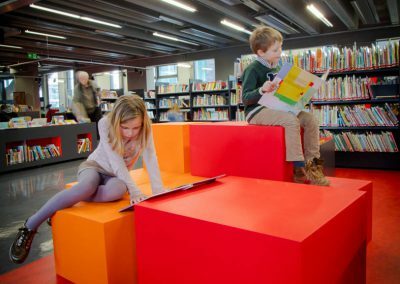 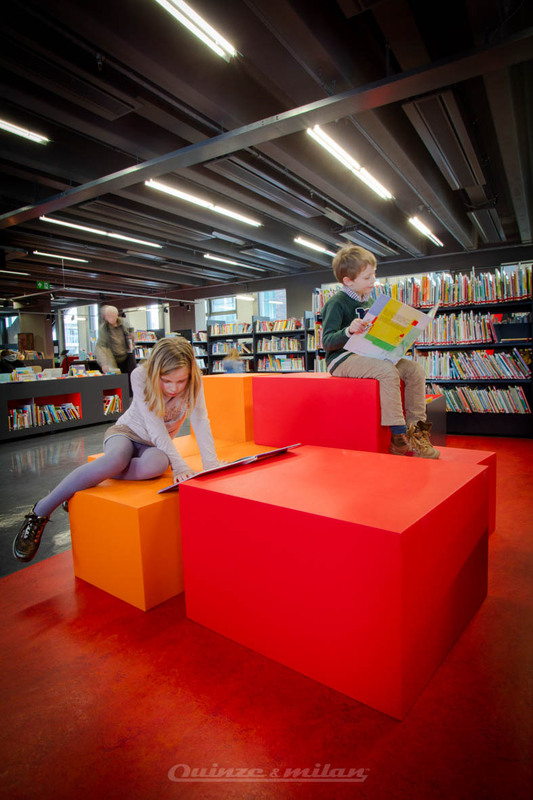 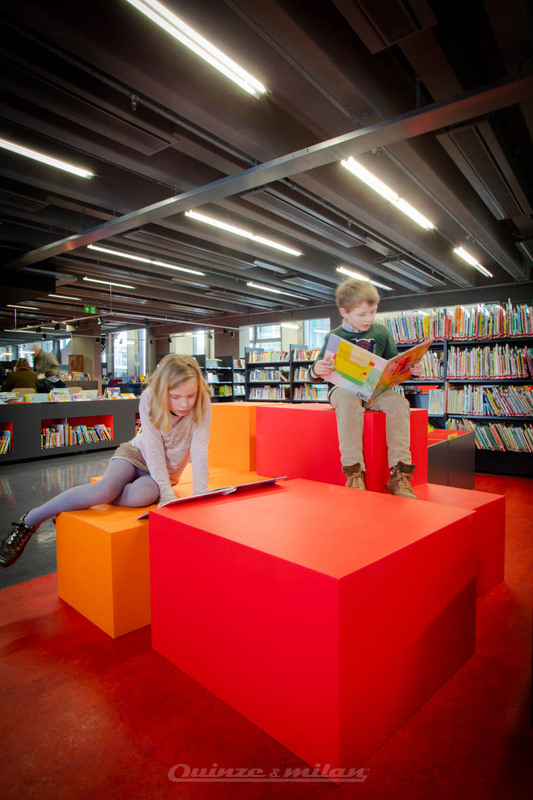 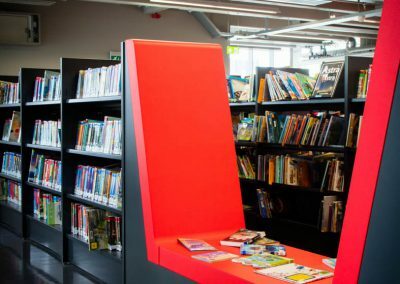 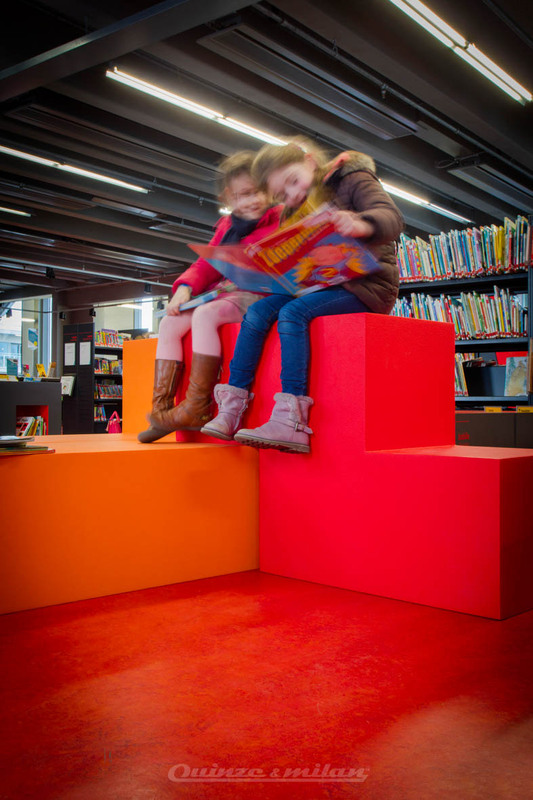 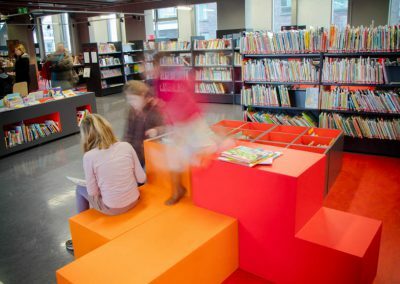 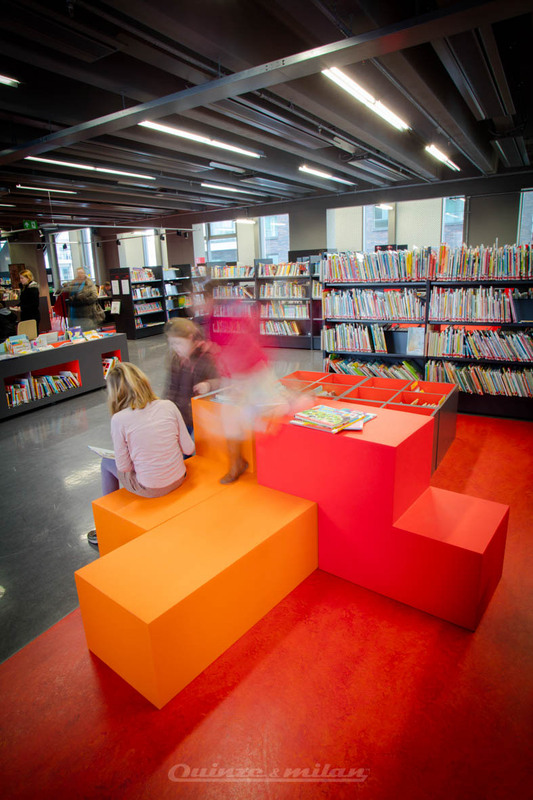 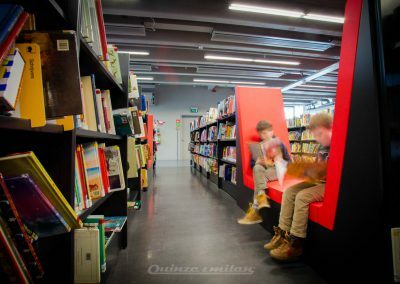 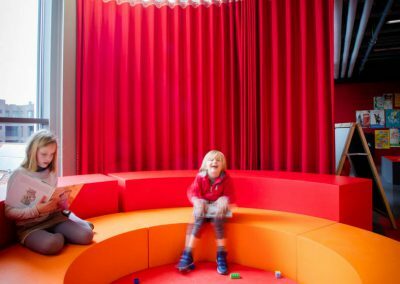 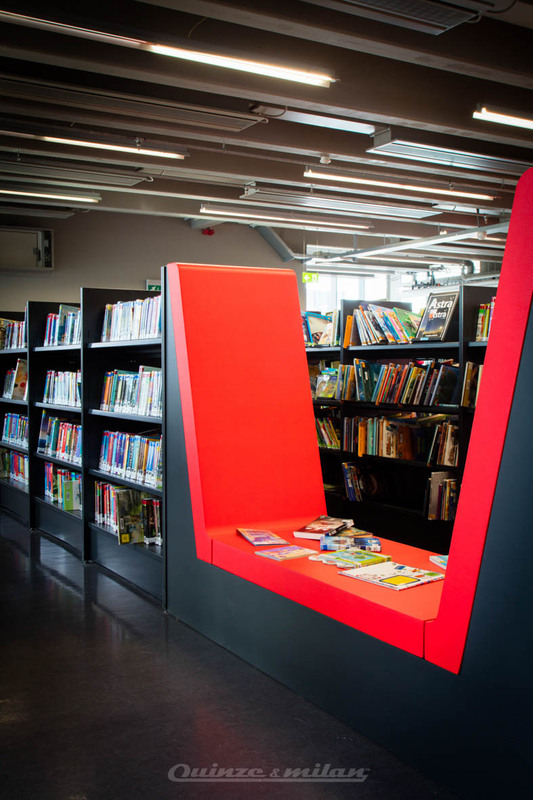 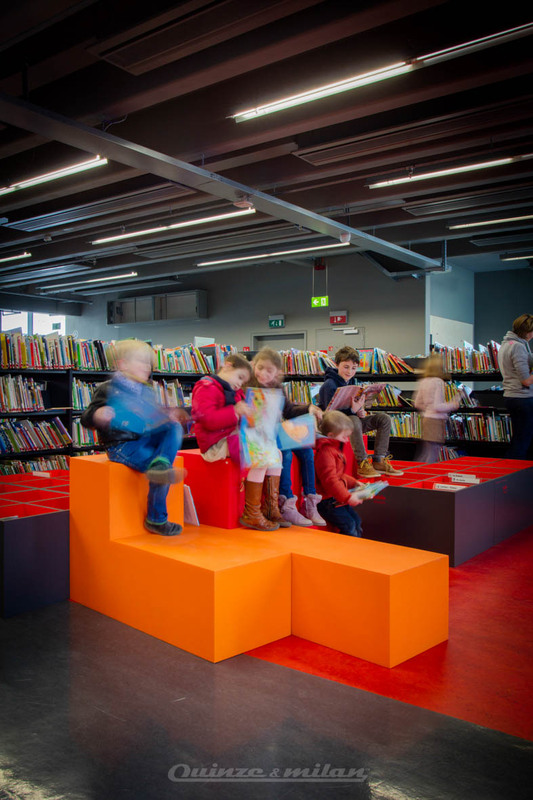 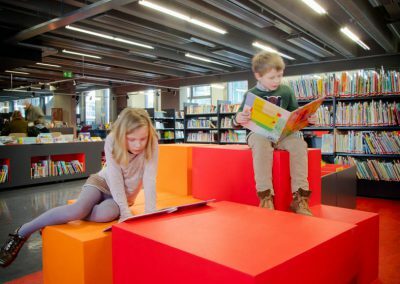 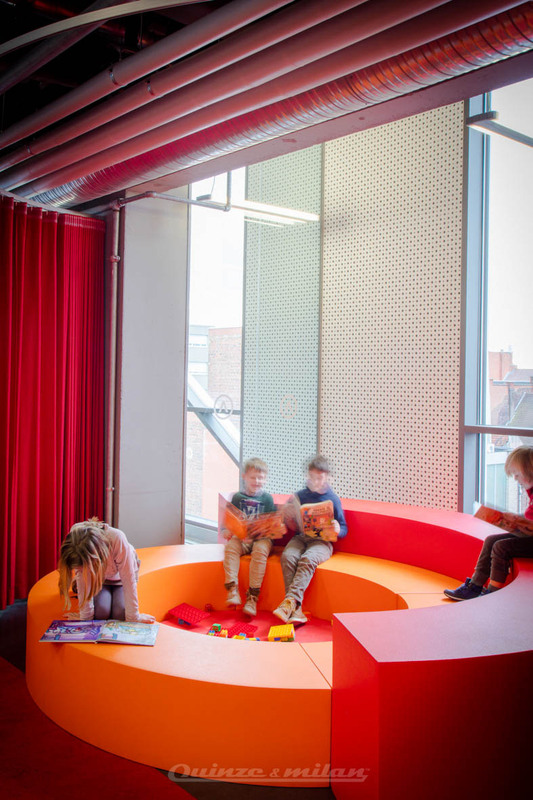 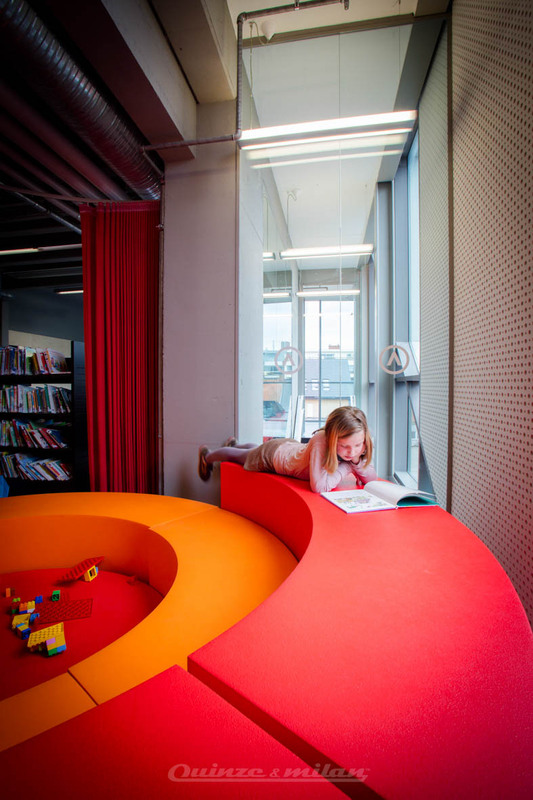 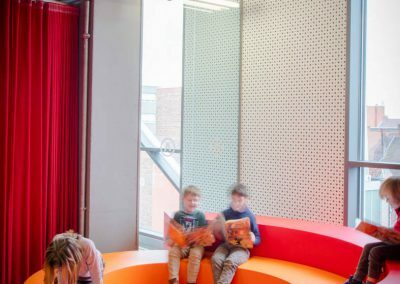 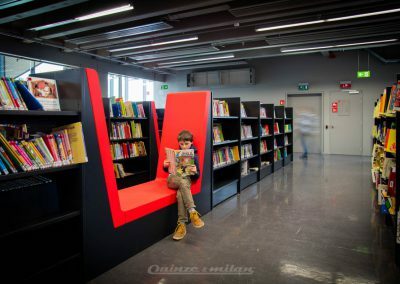 For a part in the recently opened library in Roeselare (Arhus De Munt) we have been asked to develop some custom pieces. 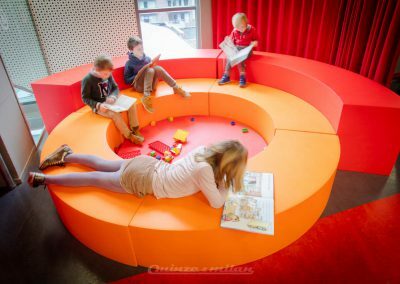 These custom pieces had to serve for the Childrens area in this library. 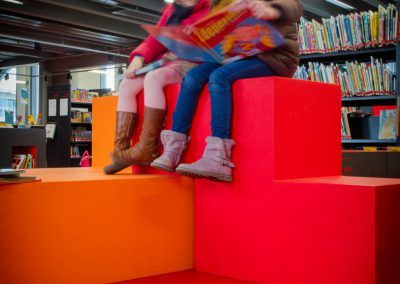 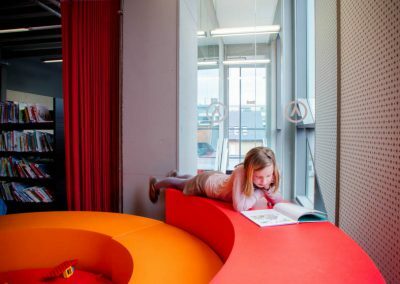 Integration of foam pads between the corridors of books and integration of a custom round with central mat in the reading zone. 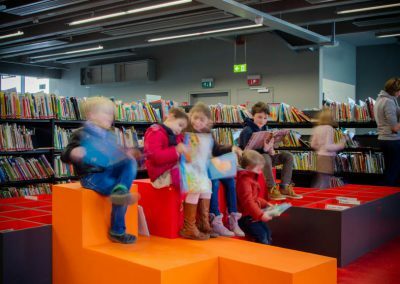 We make reading much more fun!